Unless you&apos;ve been trying to hide out of the way from pop culture over the past few years, you&apos;ve likely had some Rae Sremmurd song stuck in your head since 2014. 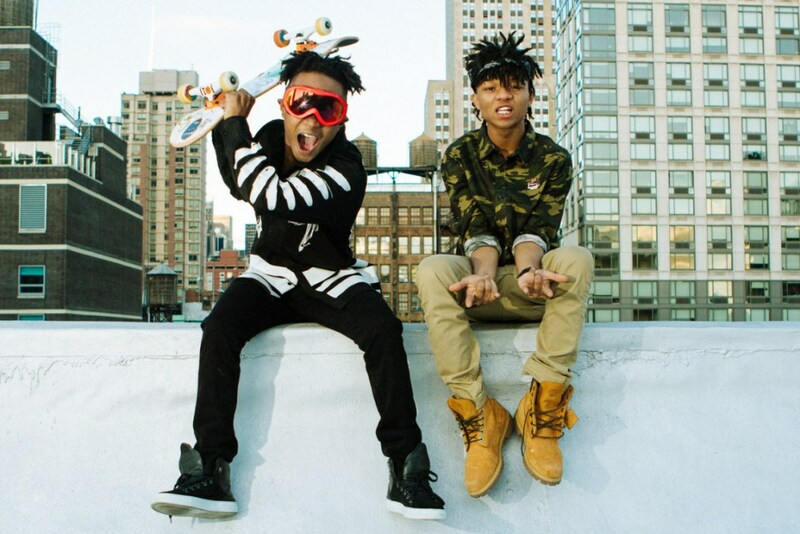 Aided by their first single "No Flex Zone" in May 2014, the brothers, Khalif "Swae Lee" and Aaquil "Slim Jimmi" Brown, took over urban radio. It didn&apos;t just stop there though, they followed that hit with a double whammy of radio smashes – one being "No Type," and the second, "Throw Some Mo," which featured cameos from Nicki Minaj and Young Thug. At this point, the duo had three consecutive top forty hits without the release of an album. And still, this wasn&apos;t enough. After their debut album, Sremmlife, was released, it produced two more singles, "This Could Be Us" and "Come Get Her." Those two, added with the previous three, gave the brothers five Platinum singles – not to mention the album itself was certified Platinum. They immediately went from one-hit wonders to potential hip-hop mainstays with crossover appeal. Despite having a good amount of success with this first effort, critics weren&apos;t convinced that Rae Sremmurd was here to stay. Hot 97 radio personality Ebro notoriously beefed with the duo and Complex magazine after Complex named Sremmlife the third-best album of the year, claiming that Mike WiLL Made-It writes their rhymes for them. When the group made official plans to release their follow-up album, aptly-titled Sremmlife 2, many, including myself, thought about what could be the scenario if they didn&apos;t dominate the charts like last time. These thoughts seemed to manifest into reality after the lead single, "By Chance" didn&apos;t appear on the Billboard Hot 100 (their first single to not chart), and a following single, "Look Alive" managed to just peak at #76 (their lowest-charting single). The most frustrating part about this was the songs were good. These missteps led us to believe that the album might not do so well. Their promo for this album was also immaculate, and a huge cover story from The Fader assisted them even more. If you didn&apos;t take them seriously before, this was now the time to do so. Summer 2016 brought the album, and although it didn&apos;t perform exceptionally and didn&apos;t move the numbers like its predecessor, it still made modest moves, and not not to mention the critical reviews were pretty good. One song in particular that critics received well was "Black Beatles." Then came along the #MannequinChallenge. Although the group didn&apos;t spark the challenge itself, they sure did have a heck of a lot to do with it. After performing the challenge at one of their shows with "Black Beatles" in the background, the video went viral. The single became the unofficial theme song for the challenge, with everyone including the man himself, Paul McCartney, taking part in the challenge and using "Black Beatles" as the soundtrack. Since the #MannequinChallenge took social media by storm, the song witnessed a massive increase in popularity, which as led it to be named #1 on the latest Billboard Hot 100 ranking, set to be released this Friday. This is huge for urban music for the song to be occupying the top spot, and it is the first #1 song for both Rae Sremmurd and Gucci Mane. Of course, there are detractors. Many (yes, Ebro is still hating) attribute the song&apos;s success to the #MannequinChallenge, but in it&apos;s defense, the song was very much on the rise prior to it going viral due to the challenge. Since they arrived on the scene two years ago, Rae Sremmurd have become the quintessential poster guys for carefree black boys, and more recently have defied the societal bounds of black masculinity. Along with acts like Young Thug and the groundbreaking moves made by Andre 3000 so many years ago, Rae Sremmurd is constantly make us think critically about what it means to be a modern hip-hop act. Yes, I know a lot of times we love to only talk about the Kendricks and J. Coles of the world, and only who we think we should take seriously. I&apos;m here to tell you that this is the wrong mindset. On top of all this, Rae Sremmurd has released some of the most lit music that invokes happiness in us all. That, at the bare minimum, must be appreciated.